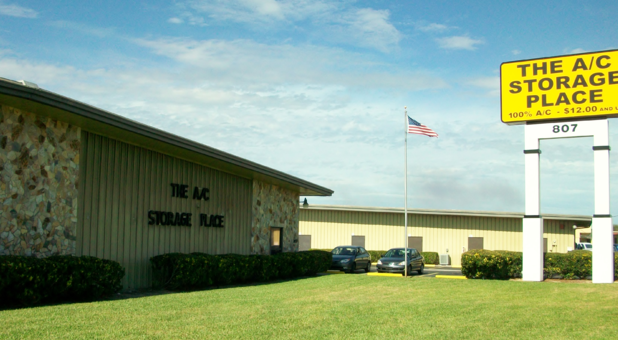 Visit The A/C Storage Place in Cocoa, Florida today to start enjoying a convenient self storage experience! We’re located across the street from Wells Fargo Bank and our friendly team provides office hours from 9 a.m. to 5 p.m. every day of the week. We’ve been serving the communities of Cocoa, Rockledge, Cape Canaveral, Merritt Island, Cocoa Beach, Cocoa West, Sharpes, and Courtenay for more than 35 years with 100% air conditioned, fully ventilated construction. You can easily find us down the street from Automaster, Burger King, Wendy’s, First United Methodist Church, and Budget Truck Rental. Once you’re here, you can see for yourself all of our ground floor, indoor storage units! We’ll also be happy to tell you more about our security features, including electronic security and cameras at each entry point and surveillance monitored by local police and fire departments. We have a minimum of two staff members on duty every day, meaning there’s always a professional nearby. We take meticulous care of our facility so that your storage experience is the best it can be. We sweep and mop our aisles daily and provide pest control twice a month. Our climate-controlled storage units are perfect for keeping your belongings protected from the outdoor elements. Plus, we never charge a deposit or administration fee on your rental. You can give us a week’s notice before you move out and receive a full refund on prepaid rent. We have a wide variety of unit sizes and access hours every single day of the week, so don’t hesitate. Get on the phone with us today to get acquainted!